APC Chairman, Mr. Stanley Tan, and CEO, Mr. Laurence Lien, travelled to Myanmar from 3-7 April. 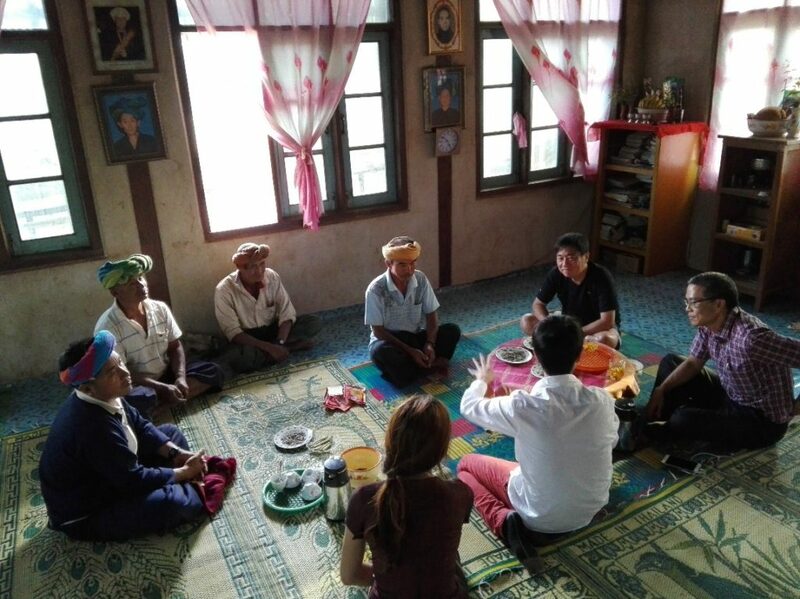 They travelled to Yangon and Taunggyi District in Southern Shan, where they met with a broad range of actors from across the social and political spectrum. The objective of the research trip was to scope the ground and lay the groundwork for the ASEAN Community Impact Fund, which will be launched in 2018. The Fund will leverage the potential of collaborative philanthropy to accelerate social progress and transformation in Southeast Asia. Myanmar is one of the countries we have been exploring: we aim to assess the landscape and gain a deeper understanding of the socio-political issues that affect the region, as well as to understand how change can be enacted in collaboration with the local rural and ethnic leaderships. The team flew from Yangon to Shan South, which borders China to the north, Laos to the east, and Thailand to the south. The state is largely reliant on two main economic pillars: tourism and agriculture. Each year, approximately 100,000 international travellers flock to the shores and waters of Inle Lake, the country’s second-most popular destination. Besides being Myanmar’s main producer of tea, Shan is also known for producing tomatoes and thanaka, whose bark is ground into a yellow-white paste that one sees commonly smeared on the faces of women and girls. However, the economic development of the state is severely impeded by various issues. The economy continues to be premised on the exploitation of natural resources and unskilled labour. Many engage in the subsistence farming of low-yield, low-value crops, and merely aim to get by. We spoke to several foreign and local enterprises, who cited poor education and training as a critical obstacle to economic development. 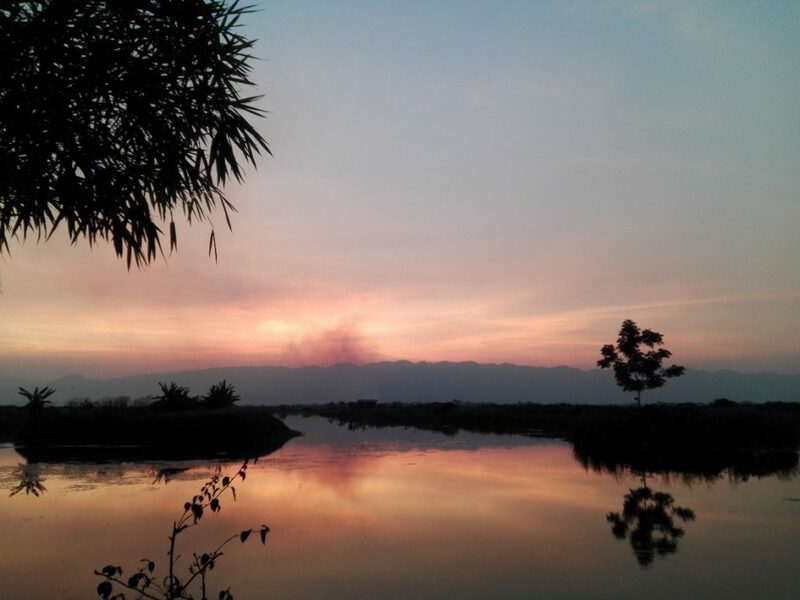 A lack of regulation has also threatened the prosperity of Inle Lake, a source of tourist business and income for the locals. It is now called a “dying lake” by many, in the face of the myriad of problems that afflict it, from pollution and over-usage of water to over-fishing and the eutrophication of water hyacinths. Another major cause of concern is the prevalence of drug addiction among the youth. We visited communities where as many as 70-80% of the youth are addicted to drugs such as ya ba, a mix of methamphetamine and caffeine. The rate of addiction is especially high in ethnic minority regions where there is armed conflict. Armies control the lucrative cross-border poppy and opium trade into China and Thailand, and make use of the local youth who are paid with drugs in return for their services. The consensus reached in conversation with various actors on the ground, such as Winrock International, BRAC Myanmar, ActionAid Myanmar and Inle Princess Resort, is that APC and the Fund’s involvement in Myanmar should be process- and results-oriented, and implemented in close consultation and engagement with local stakeholders. While the problems and needs in Shan State are very real, we should focus on the communities’ assets and aim to build capacity and expand social capital, particularly among the youth. While in Shan, we met with youth from various ethnic groups and organisations, such as the Taunggyi Youth Centre, Pa-O Women’s Union, Pa-o Youth Organisation, to hear about their aspirations and gain a better understanding of their capabilities. The energy and aspiration of the younger generation is clearly evident, who were taken with the ideals of democracy and human rights purported by Western INGOs, and wear the label of “activist” and campaign proudly. However, it appears that many are lacking in vision as to what they are fighting for, and the “better life” they hope to effect. We believe that we can harness this energy, teach leadership skills, and aid the youth in taking ownership of projects they want to pursue. Most of the graduates from Yezin Agricultural University, the country’s sole institution of higher learning in agriculture, go on to work for big chemical companies as they pay well. But these companies sell chemical fertilisers and pesticides that further poison the already-polluted land and waters, thus destroying the country’s chance at a future. As such, there is a need for more local enterprises that work closely with farmers for sustainable outcomes, and to further research and work on education in agriculture. One success story we encountered is Winrock International’s coffee project. They worked with 23 smallholder farming communities to transform them into world-class specialty coffee producers within two years. The local farmers had previously never seen coffee as a valuable cash crop, and were not aware of its global value and its potential to be a significant income generator. They had thus been selling coffee at very low prices. With Winrock’s training, they now grow coffee in a way that increases its quality and grade. Furthermore, bringing smallholders together has also increased their bargaining power. As we work to refine the focus of the ASEAN Community Impact Fund and continue to engage with local enterprises and stakeholders in Myanmar, we hope to seek out more opportunities where the Fund can enable local communities to fully capitalise on their existing strengths and capabilities.